while toasting the pav,u can add red chilli powder mixed with salt and toast.it gives good taste.If u r using frozen peas,no need of pressure cooking,can add while sauting tomatoes. Pressure cook cauliflower florets,green peas for 1 whistle in 2 1/2 cup water. After it cools down,mash it with the potato masher. In a pan,heat butter and add capsicum and saute till it becomes glossy.keep it separately. Heat butter in a pan and add cumin,after it crackles,add chopped tomatoes and till it shrinks. Add pressure cooked vegetables and add red chilli powder, amchur powder and Pav bhaji masala. Pour 1 cup water, sauted capsicum and salt.cook for another 5 minutes till bhaji thickens. In a pan,add butter and toast the Pav. 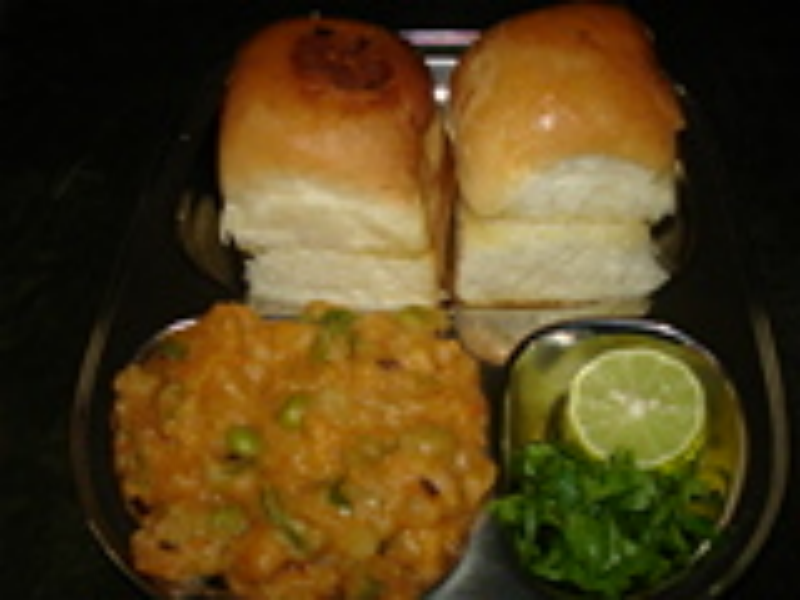 Jain Pav bhaji is ready.Serve hot with lemon wedges and coriander. Note:capsicum will be crispy if we add it at the end. Pav bhaji masala adds more taste to this.good chaat.